Steve Billingham, CEO of Duvas Technologies, explores the latest global research linking benzene exposure to Acute Myeloid Leukaemia (AML) and discusses how recent progressions in ultraviolet spectroscopy is helping to improve occupational health and safety for workers operating across the petrochemical industry. According to the American Cancer Society, more than 54,000 cases of leukaemia were detected in 2015 alone. Of these cases, 20,000 were found to be AML – an aggressive form of leukaemia with an average 50% fatality rate. While contraction rates continue to escalate, this upward trend is unfortunately no coincidence. In fact, the Toxic Substance and Disease Registry links the contraction of AML directly to recurrent exposure of the element benzene – a chemical widely present (albeit in microscopic levels) in almost every organic compound on earth. But with benzene now considered a household name, even reaching the USA’s top 20 list of most widely-used chemicals, how much is too much? Identifying ‘safe levels’ seems a game of life or death. First discovered and isolated from coal tar in the 1800s, benzene is widely used as a raw material to make industrial chemicals, such as ethylbenzene, cumene and cyclohexane. Because of its flexibility and application, benzene ranks in the top 20 in production volumes for chemicals produced in the United States. Benzene is also naturally found in crude oil (refined and separated to produce gasoline, petroleum and lubricants), as well as in air, water and soil. According to statistics from The Department of Health and Human Services (USA), more than 238,000 people are occupationally exposed to benzene every day. High levels of the chemical have been found in 1,000 of the 1,684 most serious hazardous waste sites in the USA, while traces have also been identified in car exhausts, tobacco smoke and household detergents. Regardless of how you are exposed to benzene, it will quickly enter your bloodstream and is converted into metabolites in the liver. These metabolites usually leave the body within 48 hours, however the damage they impart depends on concentration. Brief exposure to high levels (10,000 parts per million [ppm]) can result in death. Lower levels (700 ppm) can cause dizziness, vomiting and unconsciousness. Although not immediate, long-term exposure to lower levels can be just as severe as a one-off high dose. Those who are exposed to benzene for long periods of time experience serious issues with the production of red blood cells. A decrease in production lowers the immune system, which can lead to anaemia, impacts on fertility and can even result in acute myeloid leukaemia – a cancer of the blood-forming organs. Like asbestos, the gestation of benzene-related symptoms can be as long as 20 years. Benzene legislation is inconsistent worldwide. While some countries only classify the toxin within general air quality initiatives, others do not regulate maximum exposure levels at all. In the USA, however, the picture is different. Benzene use and exposure is specifically covered by section 112d of the Clean Air Act (CAA), which provides meticulous detail into ‘safe’ levels across a broad range of scenarios. The US chemical engineering industry, for example, is required to monitor and report on ambient levels both inside and outside of site parameters. Fence line monitoring is required to ensure levels remain just under 3 parts per billion [ppb] (9 µg/m3), while the Occupational Safety and Health Administration has set a permissible exposure limit of 1ppm in the workplace during an 8-hour work day, 40-hour work week. In the USA and further afield, air quality monitoring equipment is considered proven technology. Even for benzene, numerous technologies can provide detailed analytics into concentration levels. Historically, these solutions have either utilised photoionisation detection (PID) or gas chromatography (GC) to measure volatile organic compounds in concentrations from sub ppb to 10,000ppm. Both solutions seemingly deliver similar results on the surface, but have clearly differentiating functionality. Efficient and cost-effective, photoionisation detectors are widely used in gas chromatography. PIDs produce immediate readings and operate continuously, making them ideal for use in confined facilities. Their primary use is for monitoring exposure to solvents, fuels and plastics during the manufacturing process, providing quick results for health and safety reporting. In a PID, high-energy photons, typically in the vacuum ultraviolet (VUV) range, break molecules into positively charged ions. As compounds enter the detector, they are saturated by high-energy UV photons and ionised when they absorb the UV light, resulting in ejection of electrons and the formation of positively charged ions. The ions produce an electric current, which is the output of the detector. The greater the concentration of the component, the more ions are produced and the greater the current. While portable, lightweight and capable of delivering instantaneous results, PID can only measure concentrations to within relatively broad parameters. As such, the technology is ideal when managing a leak crisis scenario, but relatively ineffective for understanding precise fluctuations in chemical concentrations during long-term analysis. Gas chromatography, on the other hand, delivers more reliable and detailed monitoring. Widely used in analytical chemistry to separate and analyse compounds, the technology is capable of detecting components to within microscopic concentrations. In gas chromatography, different chemical constituents of a sample pass through a stationary tube within a gas stream. Depending on their various chemical and physical properties, different chemicals exit the column at different times and are recorded electronically. Generally, substances are identified by the order in which they emerge and by the time taken to do so. This produces a reliable diagnosis of chemical type and frequency contained within a sample. While precise, GC analysis relies on highly-trained technical staff to study each gas sample. What’s more, samples must pass through a long capillary coil to provide the required results – a process that can take several minutes. Size and methods of operation mean that, even though analysis can be undertaken on location, samples are often removed from the site; making accuracy unreliable, costs high and meaning real-time fenceline reporting is almost impossible. While both PID and GC have their place in measuring compound concentrations, their application for monitoring real-time benzene levels is far from ideal – especially when it comes to meeting specific legislation. For example, while GC technology can be used to periodically analyse ambient levels, it doesn’t provide the capability to identify a leak and is too cumbersome to facilitate fence line reporting. Furthermore, initial investment costs are prohibitive. PID, on the other hand, also has its flaws. Despite being mobile and delivering immediate results, the inability to be specific and determine individual species means analytics will be insufficient to meet regulated requirements. As such, the industry has been engaging in significant R&D activity – driven in part by US air quality legislation – to develop more suitable solutions. Progress in UV spectroscopy has been one key resulting breakthrough. Offering an alternative, or complimentary, solution to PID or GC, UV Spectroscopy is quickly becoming the go-to technology for monitoring benzene concentrations in the petrochemicals industry. Ultraviolet–visible spectroscopy refers to the absorption spectroscopy in the ultraviolet-visible spectral region. When a UV lamp shines light into a gas cell, the beam of light is reflected via a series of mirrors and collected by a UV spectrometer. Because every type of gas absorbs UV radiation along its own unique band of the spectrum, it is possible to precisely identify the concentration of the gases present. The technique can, therefore, simultaneously measure benzene concentrations alongside a plethora of additional species – nitrogen dioxide and toluene, for example. Furthermore, with no ‘sample’ needed, specially-designed equipment can measure real-time levels – making it perfect for both ambient and fence line reporting, as well as delivering early detection. While heavier than PID systems, UV spectroscopy monitoring units are portable and can be easily fitted into bespoke vehicles to deliver mobile readings. Providing ppb-level detail, this analysis will provide detailed, yet immediate insight, to meet legislative requirements. Systems, such as the Duvas DV3000 analyser, are already being used by companies across the petrochemicals industry to deliver fast-response, accurate, real-time benzene data – not just in a leak crisis scenario, but offering a routine solution to detect levels early. However, with the capability of monitoring for up to 13 additional species, its application can play a far wider part in the global air quality market. Although USA air quality legislation for benzene is clearly streets ahead, over the coming years we expect more countries to follow suit with similar guidelines. 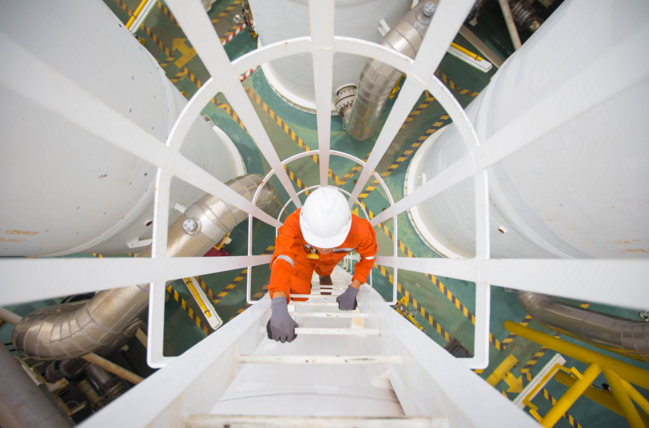 Businesses – not just across the petrochemicals industry, but every sector involved in the production or use of benzene – will have to implement new processes to demonstrate safe working environments. While the impact of over-exposure can be catastrophic, fortunately the technology is available to identify levels early and implement immediate changes to eliminate the negative consequences. As a highly progressive industry, air quality analysis R&D will inevitably continue, ensuring even greater levels of accuracy and capability. We are at the tipping point of global behavioural change. Until tighter legislative controls are introduced, the increasing prevalence of benzene use within industrial applications means millions of workers around the world are dying through over-exposure every year. Governments around the world need to come together in partnership and draw up a clear structure for the international regulation of benzene, but industry also has its part to play. Safety of staff must be a priority – embracing the latest technology is a simple step to achieve this.